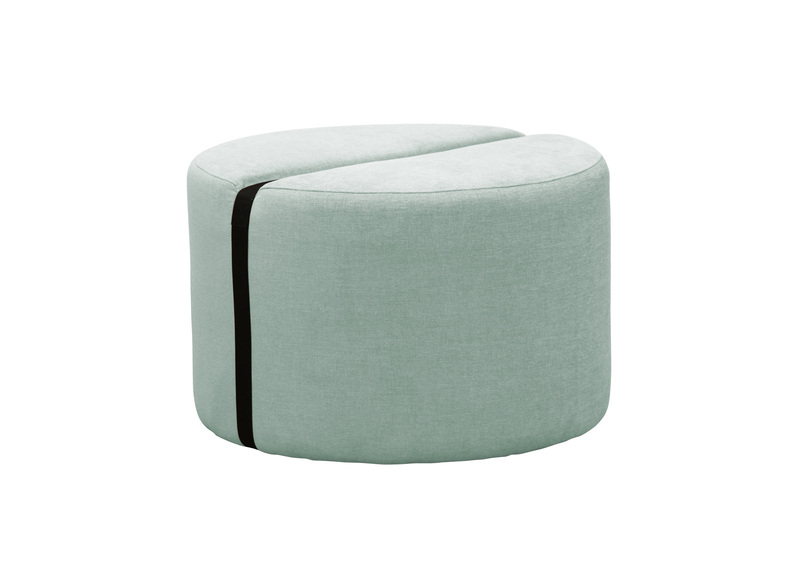 Round footstool with nylon strap. Fabric or leather upholstery. Legs available in black plastic.